Experience: When Margaux Burgess was 19, backpacking through Australia, she made her first foray in to the hospitality industry, picking up jobs bartending and serving to fund her Outback adventure. Upon arriving in Edmonton, the skills she had learned abroad landed Burgess a job at the Hotel Macdonald, and it was there that she first discovered a passion for the food and beverage industry – and for wine in particular. Eighteen years later, Burgess holds an International Sommelier Guild diploma and a Wine & Spirit Education Trust Diploma. 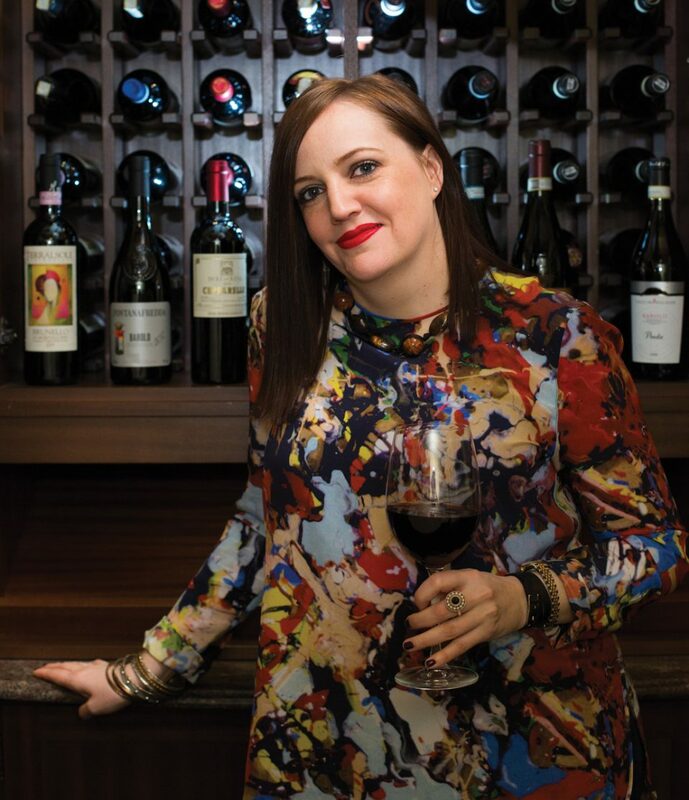 She’s a sommelier and the only residing Edmontonian who can claim to be a student of the United Kingdom’s Institute of Masters of Wine Study Programme, graduates of which are recognized as having the highest standard of professional knowledge. As the owner/director of Lingua Vina, Burgess organizes tastings, speaks at various international wine panels, assists restaurants with choosing their “wine philosophies” and educates consumers and producers on the intricacies of the wine world. “I think we are very lucky to live in Alberta. Being the only fully privatized market in Canada, we have an unparalleled opportunity to try and access product that the rest of the country has not. I think Alberta has almost 20,000 SKUs [stock keeping units] available, give or take, where Ontario has something like 8,000 and B.C. has even less than that. So we have way more products than any other province and we are really privileged in that. We have the opportunity to try more, and we have lower taxes so we can do it at a lower cost. “White wines are usually served a little too cold. When white wines are really cold, it sort of mutes the flavours and the aromatics. If you get a bottle of white wine and you pull it out of the fridge, pour your glass and have your first sip, you think, ‘Oh my, that was refreshing.’ [But] after it sits in the glass for a few minutes, you notice that it is more aromatic, and you can now pick out the fruit components a little bit more. “Red wines are usually served a little too warm. Red wines should be between 14 and 18 degrees [Celsius]. The ‘room temperature’ rule was made [probably more than] 100 years ago when room temperature wasn’t nearly as warm as it is now. You want your lighter-bodied wines, like a pinot noir, to be a little bit cooler than your cabernet. The cooler the temperature, the more it will accentuate the acids in the tannins a little bit. When I go to some restaurants [where the wine may be served too warm], I’ll ask them to put my bottle of wine in the refrigerator for 10 minutes. They usually think I am crazy, but no. “When I am at a wine show or I am at a seminar or an event, sampling a variety of wines, I like celery as a wine cleanser. It sounds strange, but it is basically water with a bit of texture as well, so it sort of cleans the mouth out. And celery doesn’t make you thirsty. Bread can make you thirsty. Sparkling water, at room temperature, is also a good cleanser. “Spit if you are serious about tasting wine. You don’t have to all the time, since sometimes a wine is really good and you don’t want to. But if you are serious about tasting, you do need to spit sometimes. Don’t be shy. If you try to do it discreetly and shyly, it just dribbles down your face anyway, so that won’t do you any good. “People often assume that one wine [variety] is the same across the board, but they aren’t. For example, I used to think all Rieslings were sweet, but once you try a few of them, you’ll learn that Australian Riesling is dry, and some German Rieslings are sweet, while others are dry. Even wine professionals think that all Australian wine is high-alcohol and really oaky, but it’s not. You can find really elegant examples of Australian cabernet sauvignon, for instance. That’s one of the most underrated wines from the new world.